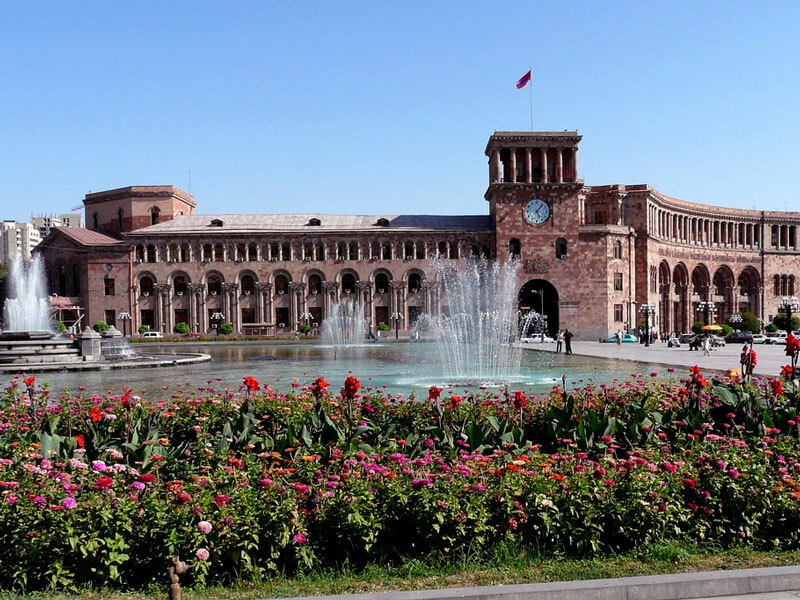 If you are going to visit Armenia and its ancient capital Yerevan, then you should definitely visit the Republic Square, which is located in the center of Yerevan and is considered one of the most amazing and famous places of the capital. 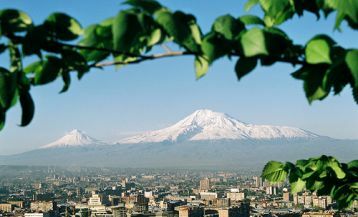 Also called “the heart of Yerevan,” it is a favorite destination for tourists. 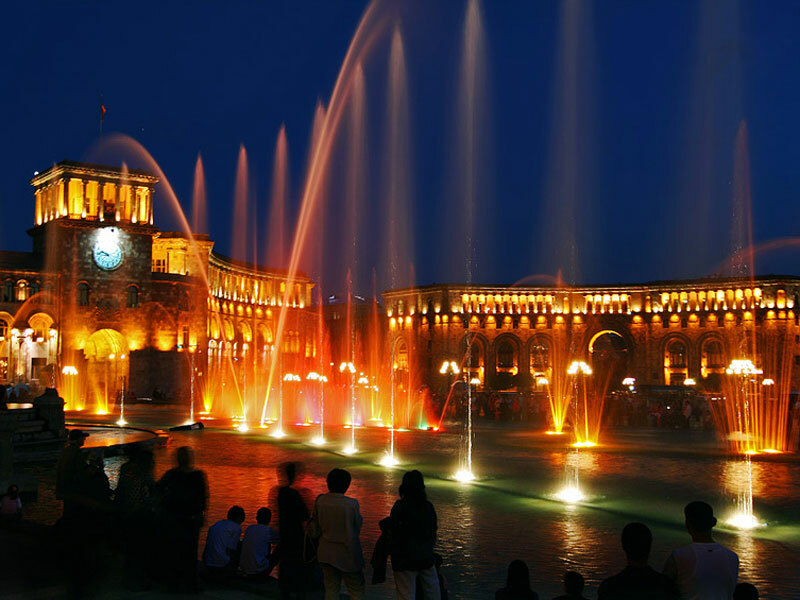 Visit тоthe Republic Square is included in almost all Explore Armenia Travel Packages. The construction of the square was performed by the main Armenian architect Alexander Tamanyan in 1924 and developed until 1958. Every leaning buildings were demolished and replaced by new ones. These buildings represented a combination of the national style and the best of world architecture. Its shape resembles a simplified combination of oval and trapeze. The Central post office of the Republic of Armenia, which offers telegraph, long-distance phone calls, money exchange, postcards for purchase, sending and receiving packages. 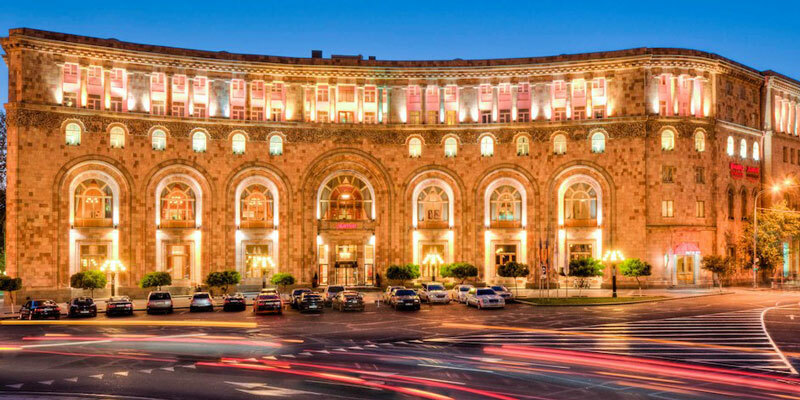 The “Mariott Armenia” hotel, which warmly welcomes all the guests of Yerevan and in spite of its authentic architecture, provides the most advanced services. The Ministry of Energy and Natural Resources. The famous singing fountains are also situated on the Republic Square right next to the History Museum and Art Gallery. 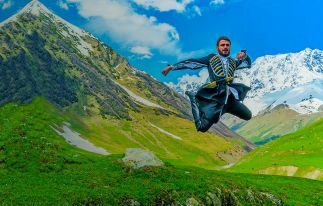 Tourists from all over the world come here to admire the attractive, unusual and beautiful views of them. Fountains work every day from late May to October, making exquisite music. The show starts at 9 pm and lasts until 11 pm gluing people to its colourful performance. The program of the show includes the world’s classical masterpieces, national music, rock and pop motifs of the 20th and 21st centuries. The show always ends with the song of Charles Aznavour “Eternal Love”. Both the fountains and their colours change according to the rhythm of the song or music played. The fountains can be visited both during the daytime and the nighttime, because each time they offer a different show: pure white dream under the sunlight and coloured fairy-tale as a helping hand for the moon and the stars in the darkness of the night. 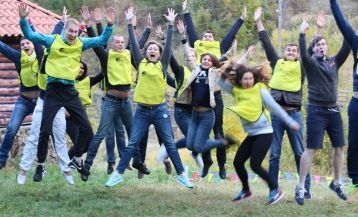 The program is so fascinating, inspiring and romantic, that you will never get tired watching it. No wonder that for many Yerevan residents and visitors the visit to fountains has become a nice tradition. There are a lot of cafes and restaurants not far from the square. 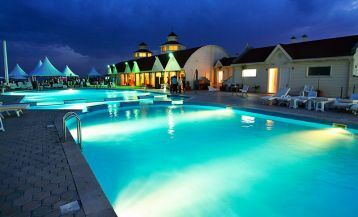 The most famous are “Marco Polo”, “Jazzve”, “Square One”, “Diamond”, “Ararat”. Just in front of the Square you can find “Noyan Tapan” shop, where you can buy all kind of books, textbooks, cards and souvenirs. On the Western Avenue as well as on Abovyan Street there are lots of clothing stores, souvenir shops and other shops that can interest tourists. A few steps from the Republic Square a popular market is situated that bears the sonorous name “Vernissage”. It works at every weekend, and here you can buy not only paintings but also Armenian duduk, icons, semi-precious stones, knives, carpets etc. 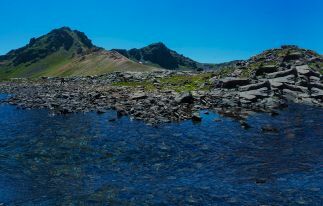 It is a favorite destination for all tourists.